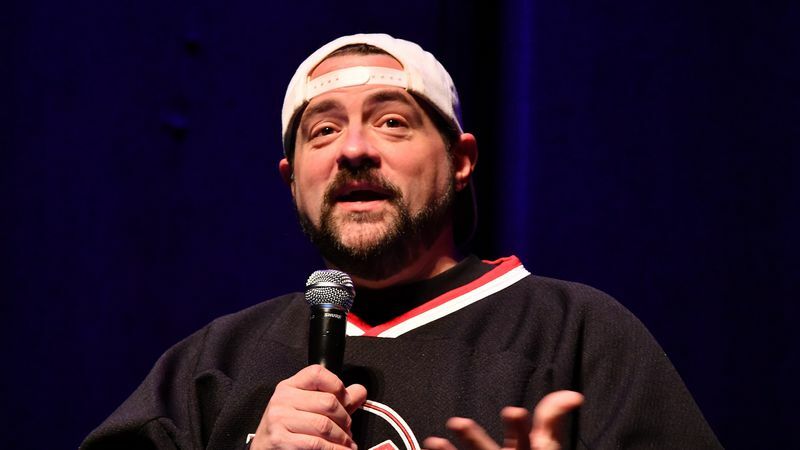 Kevin Smith has announced that he’s retooling his Christmas horror comedy Comes The Krampus, after the film became a victim of the infamous Krampus movie rush of Winter 2015. Refusing to be cowed, Smith has stripped out the film’s Christmas elements, repurposed its monster, and now announced that the movie has become a horror anthology flick, titled KillRoy Was Here. Smith’s last two films, Tusk and Yoga Hosers, were both incredibly messy efforts, albeit ones occasionally livened up with utterly bizarre ideas and visuals. We’re keeping our fingers crossed that the shift to a more vignette-based filmmaking style will suit Smith’s current cinematic attention span, allowing him to cram more gross-out spectacle and strange ideas into Killroywithout so much of the meandering padding (or, god help us, Johnny Depp cameos) that diluted his most recent work.